South Korean Treasure Hunters Launch ICO | Another ICO Scam? It’s no secret that the Initial Coin Offering market is rife with scammers and fraudsters ready to separate unsophisticated investors from their hard earned money. It comes as no surprise that an unregulated, technologically confusing investment product would attract all sorts of outrageous scams, but once in a while a scam comes along which is so absurd that it must be reported on. The South Korean ‘sunken treasure’ ICO is one such laughable scam. Last month, South Korean treasure hunting firm Shinil Group announced that they had found a Russian warship, the Dmitrii Donskoii, which sunk in 1905 during the Russian-Japanese War. It’s believed that this warship, which sunk near Ulleung Island off the coast of South Korea, carried with it 5,500 boxes of gold coins and 200 tons of gold bars when the vessel went down. 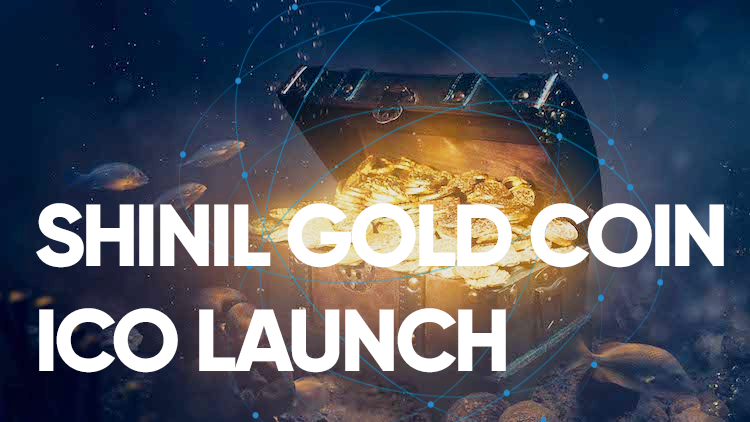 Based on the estimate of this sunken treasure and the comparisons of Bitcoin to gold, Shinil Group launched an ICO pre-sale in which they planned to issue a cryptocurrency token called the ‘Shinil Gold Coin’ which would be backed by the sunken treasure. A full page ad taken out by Shinil in a major Korean newspaper stated that the company would soon show underwater video of the Donskoii wreck, and in the first half of 2019 would distribute dividends worth 10% of the value of the treasure, estimated at over $130 billion, to holders of the Shinil Gold Coin. South Korean authorities are now seeking support from Interpol in investigating the scammish ICO after over 120,000 investors piled over $50 million into the pre-sale. Treasure hunting is a legitimate industry, and money is often raised to fund treasure hunting expeditions. In this instance, however, the South Korean Ministry of Maritime Affairs and Fisheries has released a statement that the Shinil Group has not applied for the salvage rights of this sunken ship. Furthermore, details from Shinil about the specifics of the gold recovery operation are sketchy at best. The company has no website and very little social media presence. But regardless of Shinil’s seemingly fraudulent operation, the ICO pre-sale takes this scam to a deeper level. The Shinil Gold Coin ICO is a scam due to its claim that the digital tokens will be backed by the physical gold which is to be recovered from a sunken warship. This statement raises some fundamental questions. Firstly, how is it possible to cryptographically back a digital token with gold that may or may not exist? If it is not known how many ounces of gold will be recovered, at what ratio will the tokens be backed by physical ounces? Continuing with this line of thought, supposing the company is legit, and the gold recovery operation is successful, what would happen to the supposedly gold backed digital token in the event that only a fraction of the gold assumed to be recoverable is actually retrieved? The company’s advertisement stating that it would distribute dividends worth 10% of the value of the treasure implies that the Shinil Gold Coin will be backed by 10% of the gold once it’s found and recovered. This makes more sense, but if this is the case, then the statement that the token is ‘backed by gold’ is completely misleading. Rather, it appears as if token holders are promised to be paid a portion of the recovered treasure. As with all ICOs, further questions regarding the investment process must also be asked. For instance, what would happen in the event that not enough money is raised during the pre-sale to fund the expedition? Or what would happen if more funds are required to continue the gold recovery process? And most important of all, why is a digital bearer token required to fund this operation in the first place? It’s important to understand that even if the expedition is a huge success, there is nothing within the ICO framework which legally obligates Shinil from dispersing the gold to its token holders. Unlike a private venture agreement, where hard contracts are in place, the company is under no obligation to spend the money raised in the ICO on the recovery of the sunken treasure. Rather, buying into an ICO of this nature only entitles the investor to the token itself. Therefore, investors would certainly have more legal protection if capital was raised in the traditional way. For those new to crypto, an ‘exit scam’ is the most common form of ICO scam, and is basically where the ICO issuer vanishes with investor money after the completion of the ICO. Because there is nothing legally binding the investor to a claim on the sunken warship’s gold, this ‘sunken treasure’ ICO will most likely be another classic example of an exit scam. How Large is Bitcoin's Energy Consumption?